So I was looking through my archives and I came across this post featuring my look from one year ago on that post date. Being busy studying for finals and wearing nothing but my pajamas, I decided to start up the "one year ago" feature where I'll post what I was wearing exactly one or two years ago on my blog. These pictures were actually from this post two years ago. Things have changed a lot since then, including my style. When I first started my blog I was way more experimental since I didn't know exactly what my style was at the time. 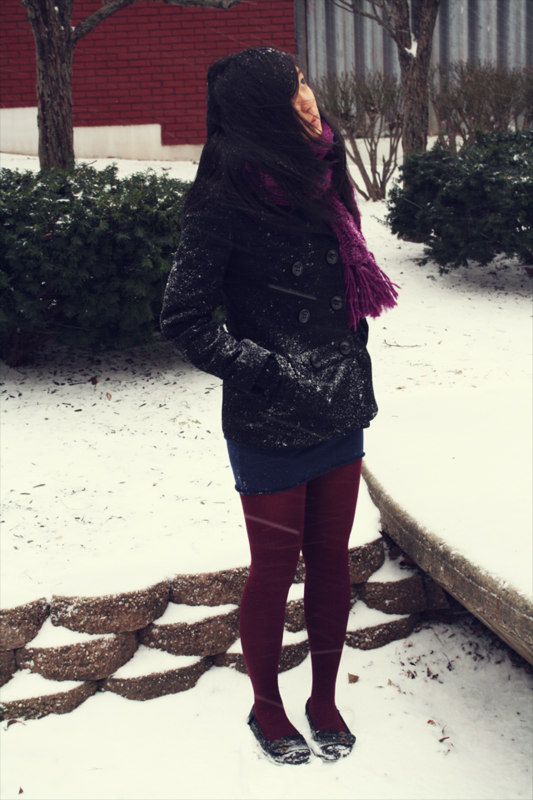 As you can see I wore a lot more color and patterns (and I was still silly enough to take off my coat for pictures in the freezing cold). It's always fun to look back and see what items are still in my closet. 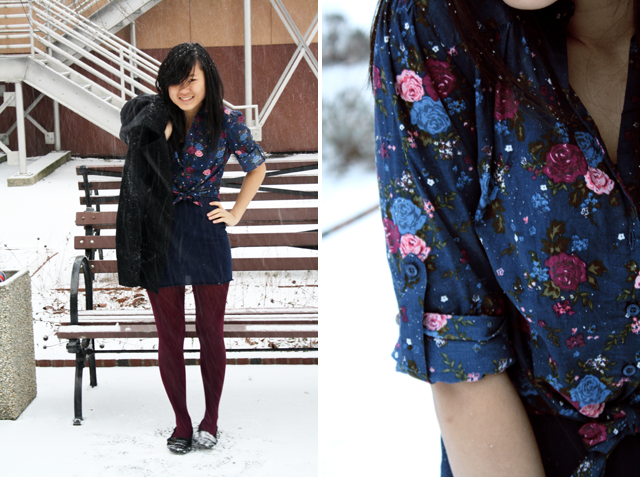 Everything I'm wearing in these pictures are actually still hanging in my closet (well, except for those shoes. I wore them out beyond repair). I should try styling that shirt up sometime to see how my style has changed. Oh wow...I didn't follow you from then, so it's really interesting to see how you were dressing/looked two years ago; you look so cute hehe. I wish it was just as snowy now as it was in your post from two years ago :P Have a good rest of the week! GURL why you be taking your coat off in the middle of the winter. Crazy fashion bloggers and the things they will do.. ahh. xD I feel like I have seen this before since I know I've been following you a long time because that shirt does look familiar.. wow, it makes me I wonder how many of my things I still have from two years ago? Lovely look, and wow it looks so cold! You literally look like you're freezing. Crazy girl! !